Steam locomotives have a voracious appetite, and they visit the servicing facilities quite often. Here we see a line of the beasts as they replenish their supply of water, sand and coal. This is the Chicago and North Western’s coaling stage in the Proviso yard located in Chicago, Illinois. 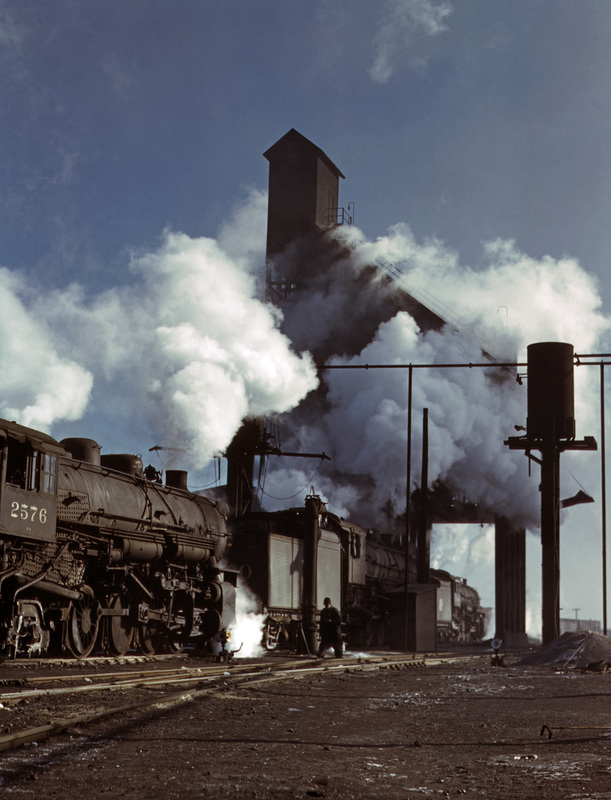 Photographer Jack Delano captured this image in December of 1942.